For all you golf fans out there...ever dreamed of getting your hands on the Claret Jug, the most prestigious prize in world golf? Well here is your chance! 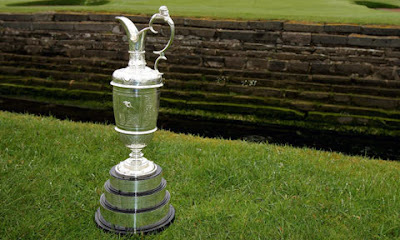 The famous trophy will be visiting Brunston on Wednesday 1 July from 5pm to 9pm as part of the build up to the Open Championship taking place 5 miles away at Turnberry from the 16 to 19 July. Come along and get your picture taken with the trophy. It's a once in a lifetime opportunity! There are currently 536 Ayrshire business stories permanently archived on this site. To locate those of most interest to you, please use the site search facility in the top left hand corner of this page. Type your search term in the white box, then click “SEARCH BLOG”.